Carole Ann Peck, 73, of Swanton, MD, died Tuesday, February 12, 2019, at her home. Born March 24, 1945, in Swanton, she was the daughter of the late Arthur and Beulah (Margraff) O’Brien. She was also preceded in death by one brother, Gary O’Brien, Sr. and one sister, Eleanor Robinson. Carole was employed at Proudfoot’s Oakland Pharmacy for almost fifty years. 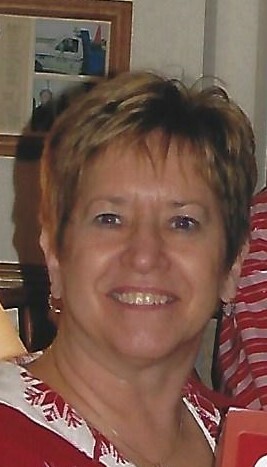 She was a member of St. John’s Lutheran Church, Meadow Mountain and the Women of ELCA. She enjoyed caring for those in need and was a loving wife, mother, and grandmother who will be greatly missed, especially by her grandchildren. She is survived by her husband of 54 years, Robert A. Peck; one son, Jeffrey Peck and wife, Lori, Swanton; one daughter, Jennifer Evans and husband, Jason, Elk Garden, WV; one brother, Tom O’Brien and wife, Nickey, Swanton; five grandchildren, Shane Peck; Colton Peck; Justin Peck; Bailey Evans and Piper Evans. Friends will be received at the Newman Funeral Homes, P.A., 1100 Memorial Drive, Oakland, MD on Friday from 2 to 4 and 6 to 8 p.m. and at the St. John’s Lutheran Church, 5214 Bittinger Road, Swanton, on Saturday from 12 to 2 p.m. Services will be conducted at St. Johns Lutheran Church Meadow Mountain, Swanton on Saturday, February 16, 2019 at 2:00 p.m. with Pastor Dave Terlizzi officiating. Interment will be in the O’Brien Cemetery. Expressions of sympathy may be directed to St. John’s Lutheran Church Meadow Mountain, 5214 Bittinger Road, Swanton MD 21561; Hospice of Garrett County, P.O. Box 271, Oakland, MD 21550; or to Cindy’s Fund, P.O. Box 182, Oakland, MD 21550.